TurboFire Workout Review - Does It Really Work? You are here: Home / Chalene Johnson / TurboFire Workout Review – Does It Really Work? As a P90Xer, starting a new fitness program like TurboFire was a new challenge. At first, TurboFire workouts were frustrating because of the choreographed moves which I didn’t get right away. I am better with traditional exercises. But I used the super cool “New to Class” option where Chalene Johnson steps through the moves so I could take time to learn them. After the first week, I was moving through the workouts and keeping up with the class! The high intensity interval training (HIIT) routines were a lot of fun and the music definitely turned up my motivation to work even harder. TurboFire claims to burn 9 times more fat than traditional cardio workouts and I was ready to put it to the test. My abdominals were looking great! The TurboFire workouts include lots of twisting and reaching so my obliques were greatly improved without the traditional “on the floor” ab workouts. My arms and legs appeared more toned looking. I did lose some of the muscle mass I gained with P90X but liked the super toned look too. I was losing weight without even trying! Between the exercises and Shakeology, I could not keep weight on and I don’t need to lose any! As a result, I had to increase my calorie intake on TurboFire days. My cardio endurance improved due to the alternate short bursts of high-intensity exercise with recovery during workouts. I am not a big fan of resistance bands but the Sculpt and Tone classes were amazing! I hated it at first but learned some great resistance band moves from Chalene that were extremely challenging. HIIT workouts are both tough and tiring. The most important thing is to eat healthy to keep up! Overall my experience with TurboFire has been a fitness challenge where I am getting awesome results in many areas. Paired with Shakeology, it’s a powerful combination! If you are up for an amazing challenge and love hot music and moves, commit to TurboFire. You will see vast improvements in many areas! 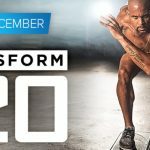 Order TurboFire – includes the FREE bonus workout Greatest HIITs!